The Apollo 1 Fire, which claimed the lives of NASA astronauts Gus Grissom, Ed White and Roger Chaffee, was the first fatal accident in the history of US human spaceflight. While the accident happened during a ground test, and not in flight, it can be considered an actual space accident because its causes are rooted in spacecraft design failure, inadequate safety procedures, and quality control in manufacturing. The flight of Apollo 1 was designated to be first manned mission of the Apollo Program, the third US human spaceflight program conceived with the goal of landing men on the Moon and returning them safely to Earth. 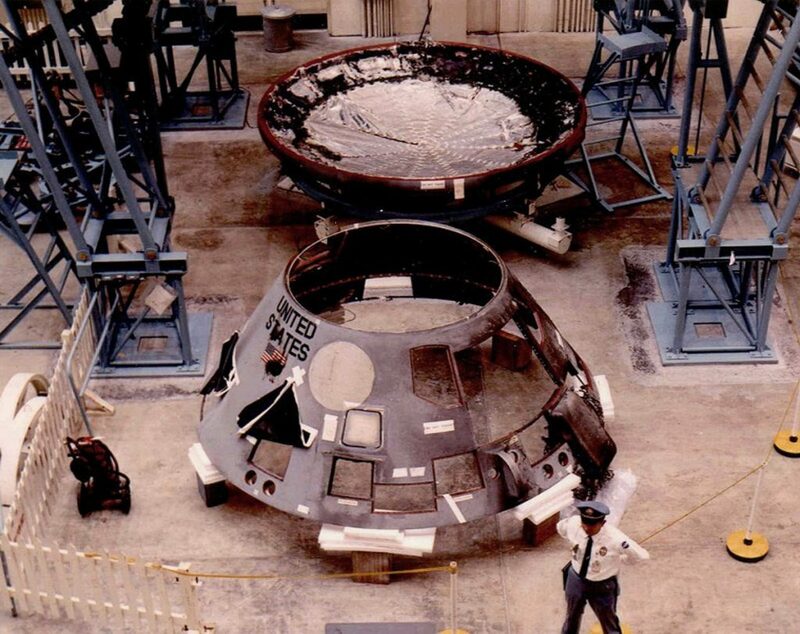 The mission was scheduled to fly on February 21, 1967, to test the Apollo Command/Service Module (CSM) but it never made it to the launch date because of a cabin fire during a launch rehearsal at Cape Canaveral Air Force Station Launch Complex 34, on January 27, 1967. Apollo 1 (also identified as AS-204) was supposed to be launched on a Saturn IB rocket to test the launch operations, ground tracking and performance of the CSM and it should have lasted up to two weeks. The CSM was the so-called Block I, an early development version built by North American Aviation before the landing strategy was even chosen. The Block I did not have a docking port, and was supposed to be used only for testing in low Earth orbit. When the lunar orbit rendezvous landing strategy was chosen, North American began the development of the Block II CSM, implementing the docking capability with the Lunar Module and the lesson learned from the Block I. The initial Apollo 1 crew, chosen in 1966 by Deke Slayton, Chief of the Astronaut Office, included rookie astronaut Donn F. Eisele. The later, however, was replace by Chaffee because he had to undergo surgery for a dislocated shoulder. Walter Schirra, Eisele, and Walter Cunningham were later designated as the backup crew. From left to right, Virgil I. 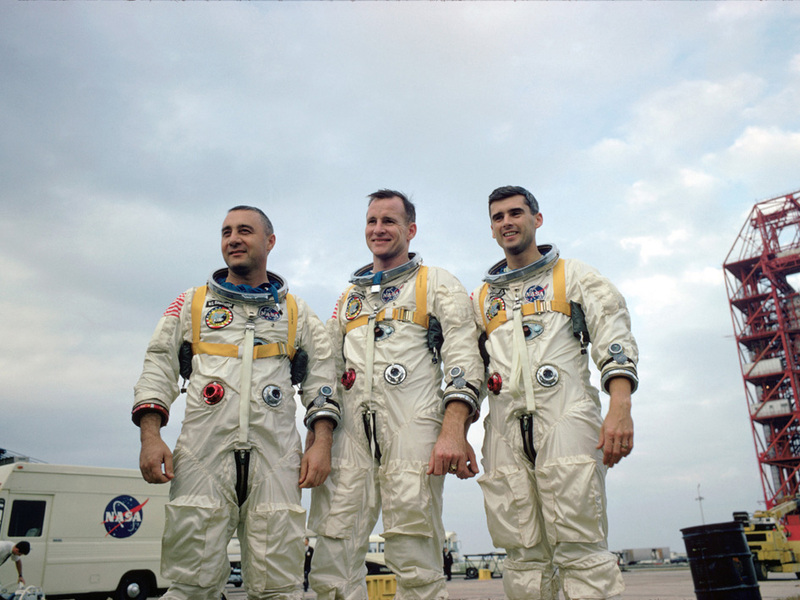 “Gus” Grissom, Edward H. White II and Roger B. Chaffee, the crew of Apollo 1. – Credits: NASA. Although North American suggested using an oxygen/nitrogen mixture during the early design phases of the Apollo command module, NASA did not want to risk a repetition of a prior incident in which McDonnell Aircraft test pilot G.B. North lost consciousness and sustained serious injuries while testing a Mercury atmosphere system in a vacuum chamber, on April 21, 1960. In that case, the problem was found to be nitrogen-rich – and therefore oxygen-poor, air leaking from the cabin into his spacesuit feed, resulting in too little oxygen being provided to North. NASA, however, failed to recognize the many safety issues involved in simulating the space condition on the ground. North American had designed the Apollo capsule to operate in space with a 5PSI 100% pure oxygen atmosphere, and all the fire safety measures were based on this assumption. But the test was not conducted in space; it was conducted on Earth, where the pressure is already 14.7PSI. In order to simulate a positive pressure, the internal pressure of the capsule was brought up to 16.7 psi, creating a concentration of oxygen that makes fabrics and even metals highly flammable. Since the test was categorized as non-hazardous, it received less scrutiny and there was no one ready nor prepared when a spark ignited the oxygen, starting the fire inside the cabin. Mission Control realized what was happening only after the reception of an unclear message from the crew combined with high pressure readings. When they finally looked at the monitor that was providing a view of the capsule’s window, the command module was already covered in flames. Under the high pressure condition described, the hatch was impossible to open from either side and the crew died when the spacesuits’ oxygen feed was disconnected by the fire burning the tubes. The rescuers managed to arrive close to the capsule only half an hour later. Dale Carothers, Spacecraft Operations Directorate, in the white room, looking at the interior of the AS-204 capsule through the open hatch. – Credits: NASA. Immediately after the accident, NASA Deputy Administrator Robert Seamans estabilished the Apollo 204 Review Board in order to investigate the cause of the fire. The board was chaired by Langley Research Center director Floyd L. Thompson and included astronaut Frank Borman, spacecraft designer Maxime Faget, US Air Force Colonel Charles F. Strang, and five other experts in different fields. NASA Administrator James E. Webb managed to get the approval of President Lyndon B. Johnson himself for an internal NASA investigation, to avoid any possible conflict of interest. First, the board reviewed thoroughly the documentation and the audio and video material. Then, the command module was disassembled following procedure tested by dissembling a twin module. The board also interviews the witnesses and reviews the crew’s autopsies. According to the final report issued on April 5, 1967, the crew suffered a cardiac arrest caused by high concentration of carbon monoxide. The third degree burns suffered were believed to occur mostly post-mortem. The asphyxiation happened after the fire melted the spacesuits and their oxygen feed, leaving them at the mercy of the deadly atmosphere. The Apollo 204 Review Board identified also the main possible causes of the fire. Although they could not identify the ignition source, they found evidence of several electric arcs. The fire started most likely near the floor under Grissom seat, spreading from the left panel of the cabin to the right, preventing the astronauts to use the manual depressurization valve, that could have vent the cabin, although it would have not prevented heat and pressure increase generated from the fire. They also noted a silver-plated copper wire running through an environmental control unit near the center couch had become stripped of its insulation probably by repeated opening and closing of a small access door. This wiring damage was located near an ethylene glycol/water cooling line which had been prone to leaks. The interaction of ethylene glycol solution with silver could have caused an exothermic reaction, considering also the atmosphere of pure, high-pressure oxygen, able to ignite the ethylene glycol mixture. Moreover, the board also identified many combustible material near the ignition sources such Velcro, which was used throughout the spacecraft for a total of as 3.2 m2. About up to 30 kg of other non-metallic flammable materials was also retained in the design. Because of the high internal pressure, the hatch was impossible to remove without opening the cabin vent to allow the pressure to decrease, but the valve, as mentioned before, was only in the left side of the cabin, which was the first part to be filled with flames. Suggestion by NAA to use explosive bolts for the emergency opening of the hatch was not approved by NASA, fearing an accidental opening of the hatch, as happened in Grissom’s Liberty Bell 7 test flight, on July 21, 1961. – In oxygen-enriched atmospheres, the reactivity of oxygen significantly increases the risk of ignition and fire. 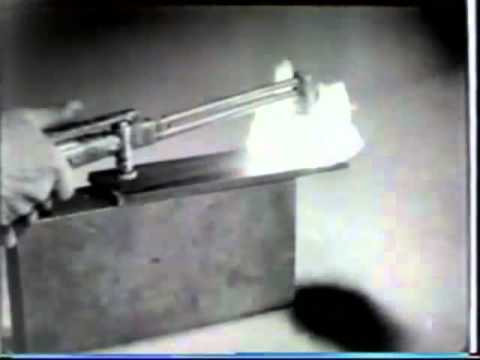 The video below demonstrates that materials that may not burn in normal air may burn vigorously in an oxygen-rich. The crew members were surprised by the fire while they were going through their checklist. The fire burned in three stages with the first stage associated with a rapid temperature rise and increase in cabin pressure and terminated 15 seconds after the verbal report of fire by White who said “I’ve got a fire in the cockpit!” Witnesses reported seeing White on monitors reaching for the inner hatch release handle as flames were filling the cabin moving rapidly from the point of ignition, traveling along debris traps installed to prevent items from dropping into equipment areas during tests or flight. Six second later, followed by the sound of the spacecraft’s hull rupturing due to the high pressure, another voice announced “There’s a bad fire!” The last dramatic communication is believed to be Chaffee who yelled “I’m burning up!” The rupture of the command module marked the beginning of the second, brief, stage of the fire, characterized by gases’ outrush through the rupture in the pressure vessel. The attempts of the ground personnel to save the crew were hindered by the intense heat and dense smoke going out of the vessel. It needs to be said that they were prepared for emergencies involving toxic fumes, not a fire. Although they took only five minutes to open the three hatch layer, the crew inside was already gone, having lost consciousness after seconds the beginning of the fire. In fact, the third stage of the fire was characterized by rapid production of high concentrations of carbon monoxide. It was estimated that the command module atmosphere was lethal five seconds after the start of the third stage. When the ground personnel finally entered the spacecraft and the smoke went away, they found the fire had partly melted not only Grissom’s and White’s nylon space suits but also the tube connecting them to the life support system. 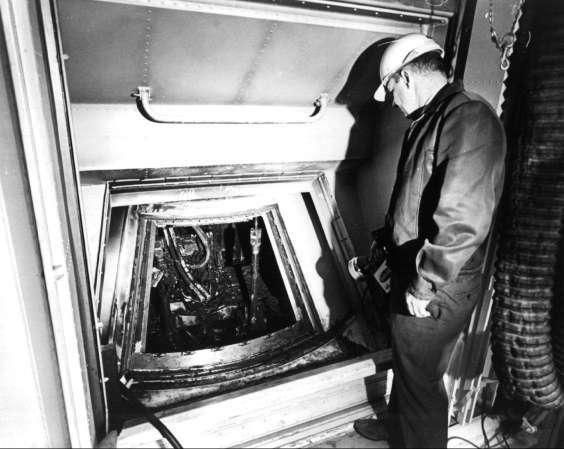 White was found just below the hatch and it was determined that he had tried to open the hatch following the emergency procedure, but was not able to do so against the internal pressure. Chaffee was found in his seat, as the procedure was for him to maintain communication until White opened the hatch. 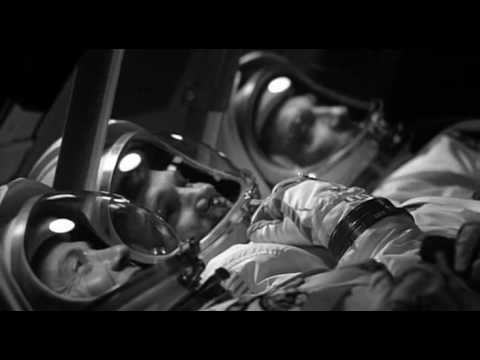 – In the video below, a dramatic reenactment of the Apollo 1 fire. Before Apollo-1 fire, several fires in high-oxygen environments occurred. On March 23, 1961, just less than three weeks before the first Vostok manned space flight, cosmonaut Valentin Bondarenko died after a fire in a high-oxygen isolation chamber. This tragic experience convinced soviet designers of the dangers of a pure oxygen atmosphere. NASA, however, didn’t know about the accident, that was concealed by the Soviet government, only to be disclosed in 1986. In 1962, USAF Colonel B. Dean Smith and a colleague narrowly escaped a fire in a pure oxygen chamber at Brooks Air Force Base in San Antonio, Texas, while testing Gemini space suit. Following the accident, the Block I design was abandoned, pushing forward the Block II spacecraft with significant changes in the design. While the capsule preserved a 5PSI pure oxygen atmosphere for space operations, it was decided to use a nitrogen-oxygen atmosphere on the ground. The design of the space suit was modified as well, and the material was also changed with non-flammable beta cloth. Flammable materials in the cabin were also replaced with self-extinguishing versions. Moreover, the Block II’s hatch was modified in order to be opened towards the outside in maximum 30 seconds. After the accident, NASA Flight Director Gene Kranz called a meeting of his staff in Mission delivering an inspiring speech that was later reprised in the wake of Columbia accident. From this day forward, Flight Control will be known by two words: Tough and Competent. Tough means we are forever accountable for what we do or what we fail to do. We will never again compromise our responsibilities. Competent means we will never take anything for granted. Mission Control will be perfect. When you leave this meeting today you will go to your office and the first thing you will do there is to write Tough and Competent on your blackboards. It will never be erased. Each day when you enter the room, these words will remind you of the price paid by Grissom, White, and Chaffee. These words are the price of admission to the ranks of Mission Control.